International medical and scientific societies have always had “virtual offices” because the staff could never be in all places where the members, leaders and other stakeholders are located. Today’s advances in information technology have transformed the way international societies communicate, network and disseminate their message. We specialize in providing non-profit scientific and medical societies professional management that is enhanced by a website content management system working together with an online association management system. Integrating an online association management system (AMS) with a WordPress responsive website (CMS), or other CMS, to enable web-based communications, membership, meeting registration, abstract management, program planner, e-posters, access to meeting presentations & audio/video and the society’s finances. A non-profit professional society’s most valuable assets are their membership data and the important, innovative content generated by their scientific meetings and journals. One integrated database for online abstract management, e-posters, online program planner, mobile app, online membership and registration is now available through innovative software developers with 15-20 years experience in the association market. Without having in-house IT, a society’s website can feature a single sign-on to access membership details, meeting registrations, scientific abstracts and presentations as well as member only benefits such as online journal subscriptions and member only educational content. Not surprisingly, costs for a customized, integrated online system is less then the costs of these items purchased piecemeal by various technology providers. 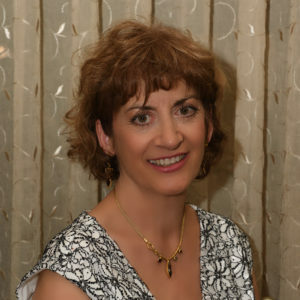 Joan, and her Virtual Office, have replaced the staff at the FASEB campus in Bethesda, MD which has managed the International Cytokine & Interferon Society (formerly ISICR and ICS), since 1996. By transitioning to a Virtual Office, the society will save on administrative costs and can focus its resources on promoting the fields of cytokine, interferon, and chemokine biology, and growing as a network to facilitate research communication to ultimately translate discoveries to improve human health. The International Cytokine & Interferon Society, (ICIS) is a non-profit organization of close to 1,000 scientists devoted to research in the fields of cytokine, interferon and chemokine cell biology, molecular biology, biochemistry and the clinical use of these biological response modifiers. Bringing together scientists across many different research disciplines, the International Cytokine & Interferon Society is the premier organization promoting the field of cytokine biology, impacting all aspects of medicine, from cancer to autoimmune disease to neural development and function. A common ground where scientists interested in all aspect of cytokine biology can join and work together to better human health. Please visit the website we recently designed for more information: www.cytokinesociety.org. NASCI Strategic Planning Retreat in Washington, DC in April, 2005, I am on the far right. These are THE luminaries in the field of cardiovascular imaging! 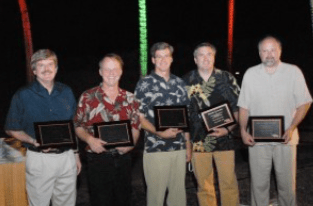 The first 5 Presidents of the Society for Molecular Imaging whom we were honored to work for. Photo taken at our last Annual Meeting together on the Big Island of Hawaii! Successfully grew association management business through the growth of our client organizations, exceeding client expectations and building a highly motivated, well trained team emphasizing professional development, integrity and transparency. The trick with this society was to keep up the industry support and meeting attendance when the society met in unpopular cities within the Chapter, or in a city that was far away from the membership base in Texas. Meetings in Houston, San Antonio, Austin and to a lesser extent, Dallas, were always successful, but every other year the meeting had to be in one of the other states in the Chapter. We managed to have successful meetings in Albuquerque, New Orleans, and Santa Fe, by negotiating really good rates at excellent venues and emphasizing the unique aspects of those venues in all marketing materials. Our key employee, Charles Metzger, is still managing the society which is now the SW Chapter of the Society of Nuclear Medicine and Molecular Imaging. Became NASCI’s first Executive Director as the society went through a reorganization and undertook the revitalization of the field of Cardiovascular Imaging by taking the initiative in cardiovascular MRI. NASCI strategized an action plan for the advancement of Cardiovascular Imaging among radiologists through educational programs in conjunction with large radiology society meetings. Another strategy that developed was to familiarize more teachers about Cardiovascular Imaging procedures through “Teach- the-Teachers” courses so that more radiologists could be trained to perform and interpret these procedures. Participants from these courses went on to become the future leaders of NASCI, which remains the leading multi-disciplinary, multi-modality society for the advancement of Cardiovascular Imaging, incorporating radiologists, cardiologists, physicists and industry representatives. Beginning in 2001, the society began holding its Annual Meeting independently, and by 2005 grew to 550 participants as we moved the meeting to the Ritz-Carlton Amelia Island. The venue change from downtown hotels to a premium resort, as well as translational advances that were being made in cardiovascular CT and cardiovascular MRI, and expanding our marketing to private practice radiologists and cardiologists, attracted a huge increase in clinicians to the meeting and society membership. NASCI is now managed by the American College of Radiology. Provided full-service association management and meeting planning for 2-3 international congresses per year as the society’s annual budget grew exponentially year on year. The growth of this society, from what was once known as the California Separation Science Society (CaSSS), to their current standing as CASSS, an International Separation Science Society, is what fueled the growth of Rhema Association Management, enabling me to hire three full-time employees, including an experienced meeting planner and a CPA who are still working for the Society, which we transitioned to a freestanding management model in 2001. Since moving to Germany, I have had the pleasure of planning CASSS’s first two European CMC Strategy Forum meetings (Brussels in 2007 & Paris in 2008) as well as the 21st International Ion Chromatography Symposium in Dublin in 2009. They are now holding meetings all over the world in support of their mission to enable a global community of industry, academic and regulatory professionals to work together to resolve scientific challenges in the field of bio-pharmaceutical development and regulation. Chosen as the founding Executive Director as the society’s membership grew from 200 – 1,250 full, student and industry members and annual meeting attendance grew year on year from 650 to 1,250 participants. Organized their annual meetings in San Francisco, St. Louis, Cologne, Germany and the Big Island, Hawaii with each meeting drawing increased attendance, abstract submissions, support from industry and adding to the Society’s financial reserves and establishing itself as the internationally renowned platform for reporting on the most important advances in molecular imaging. Managed the society with a Virtual Office, with both a German and Texas base, until the society began having joint meetings in 2007 with a clinically oriented affiliated society. As of 2011, the joint meeting became the merged World Molecular Imaging Society, WMIS. In 2014 I was contracted to design interest group web portals for the Early Stage Professionals in Molecular Imaging Sciences www.micareer.wmis.org (an online postdoc career portal) and the Managers of Molecular Imaging Laboratories (MOMIL) www.momil.wmis.org as well as setting up a Virtual Meeting Web Portal www.virtualmeeting2014.wmis.org. Registered their domain, set up first website and administered CME accreditation recertification. Attracted new members by increasing the awards to young investigators, making the meetings more family friendly and providing more networking during the year at local dinner meetings. Added a one-day hot-topic educational program on the Friday before the Annual Meeting weekend, which drew more attendees from other parts of the western USA and southern California. Membership retention and new memberships increased substantially by converting the society’s database to an online association management system. Continued to help them with their online communications, website and online membership renewals upon request of my successor, Amanda Pacia, through 2012. Upon graduation from CU, Boulder, moved to this beautiful ski town and began a career in Hotel Management working my way up from Front Desk Clerk to Conference Services Coordinator, Group Sales Manager and finally to the Director of Conference Services. In this position, as a member of the Executive Management team, I oversaw three conference coordinators, a conference center concierge and an administrative assistant as well as capital improvements to the 30,000 square foot conference center, a 9,600 square foot tent we erected in the parking lot for outdoor summer functions, (an idea I championed which is still in use today), and was responsible for a $475,000 budget as well coordinating the largest conferences. Specialized in the State Association, CA State, and Federal Government conference markets. Resigned from this position to found my association management company specializing in scientific and medical society management. Attended this intensive 40 hours course of the Institute for Organization Management at Stanford University in July, 1993, sponsored by the US Chamber of Commerce. Continued to attend CE programs as well as volunteered on committees of the American Society of Association Executives, the Northern California Society of Association Executives and the California Society of Association Executives. Designated with the Certified Association Executive (CAE) credential in November 1998 by the American Society of Association Executives (ASAE). The CAE credential is currently lapsed. I plan to renew this as soon as possible. Grundstufe I, II and III (levels A1, A2 and B1, each course 200 lessons):, 2007 Volkshochschule (VHS). Completed six months of intensive German language courses, four hours per day, five days a week. Mittelstufe I (level B2, 80 lessons):, 2009 Volkshochscule (VHS). Completed 2 months of a 4 month intensive course (four hours a day, four days a week) which included review of German grammar and more practice including writing, listening and increasing fluency in conversation.